By buying this product you'll earn up to 304 Rewards points. Yamaha VXS speakers provide background music and live paging for small businesses, and they're designed to fit into your decor. Each provides a 5-1/4" woofer and 3/4" soft dome tweeter for wide coverage and exceptional voice clarity. 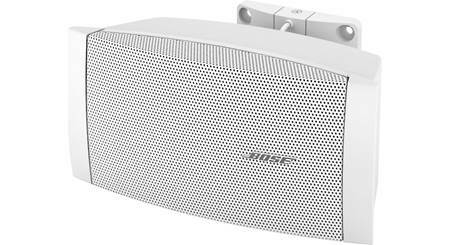 These speakers feature multi-tap transformers for use with 70-volt or 100-volt audio systems, while an 8-ohm bypass setting allows use with regular home audio receivers and amps. VXS Series: Yamaha designed their new VXS series loudspeakers to accommodate a growing list of applications in the installation market. While these speakers deliver quintessential Yamaha sound quality, they have also been carefully designed for safe and easy installation. 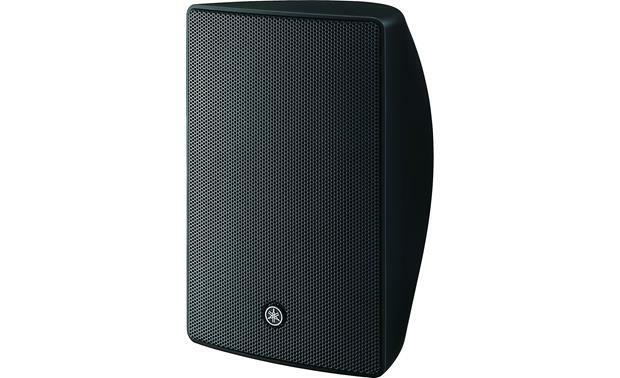 Two-Way Driver System: The VXS series loudspeakers feature a newly customized 0.75" soft dome tweeter and a 5.25" cone woofer capable of providing superb music reproduction as well as crystal clear announcements for public address applications. Carefully Designed Enclosure: Several aspects of the speaker enclosure design reflect a strong emphasis on functionality as well as the aesthetic features of their construction, effectively enhancing sound quality and speaker performance without disturbing the interior décor of the installation. 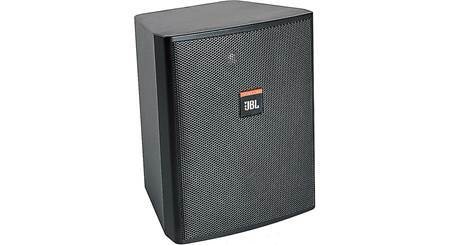 The speaker cabinets are built tough to meet the demands of a wide variety of commercial environments, constructed from a carefully selected plastic with just the right tensile strength, and designed with optimized bass-reflex tuning to offer a firm, tight low-end. The hexagonal design of the grille actually improves sound clarity by raising the aperture ratio. Similarly, the smooth curves of the surface-mount cabinet's simple yet sophisticated design allow the speakers to be mounted closely to the wall, while still fully capable of panning and tilting to target service areas. Note: The speaker enclosure is IP35 rated for outdoor applications, so it can be mounted outdoors under a porch or eve. The speaker should never be submerged in water. Euroblock Connectors: Input connection is conveniently provided by a removable euroblock connector (4-pin), providing secure connection via screw-down terminals and allowing a system to be pre-wired before installing the speaker for fast snap-on convenience. Separate connector terminals are available for the input and for the loop-through wires, making it easy to jumper the speaker signal to additional speakers. The input terminal plate provides strain relief for bare wire (up to 12 AWG) and conduit tube (up to 0.5"). Terminal covers are provided to meet safety codes & standards. 70V/100V Compatible: The VXS series loudspeakers include a 30W multi-tap transformer for use in either 70V or 100V distributed-line systems. Taps are selected with a rotary switch located on the back panel of the speaker. Surface-Mount Bracket: The VXS series speakers come with a dedicated bracket for safe, trouble-free speaker installation. The speakers can be mounted temporarily, freeing your hands to adjust mounting angles, which can be configured consistently with ease thanks to the gear guides in the bracket connectors. Furthermore, the bracket base allows the VXS series speakers to be mounted on both walls and ceilings without the need to prepare a different set of brackets. The brackets allow the speakers to tilt up or down and swivel left or right. 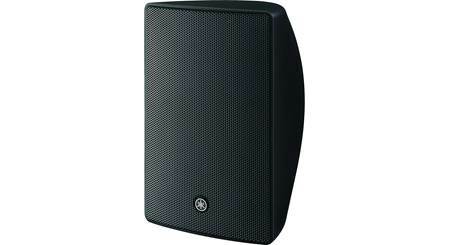 Paintable: The VXS series loudspeakers comes with paintable speaker bodies, grilles, and brackets. 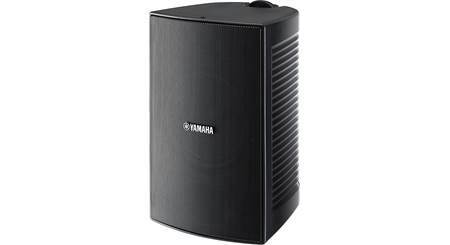 Searches related to the Yamaha VXS5 5-1/4" commercial weather-resistant surface mount speaker.